Best Buy is offering complimentary $100, $125 and $150 gift cards with select MacBooks, MacBook Pros and iMacs as part of its pre-Black Friday promotion. The offer is limited to select models and excludes the recently introduced MacBook Air. The Best Buy gift cards do not expire and can be used on any purchase and do not expire, which means you can give them to a loved one or save them for use at a later date. It can be very difficult to find a significant discount on Apple’s MacBooks and MacBook Pros. Apple generally doesn’t allow its partners to advertise significant discounts. Instead, partners such as Best Buy are relegated to offering freebies with full-priced MacBooks. The deals are often good, but the downside is that you rarely walk away saving cold hard cash. While Best Buy’s Black Friday deals are decent, you should take a close look at others’ offerings to see if their freebies are more compelling. Some, for example, will throw in a free printer and valuable software. We recommend comparing MacBook these prices with your school’s bookstore and Apple retail stores if you’re enrolled in a U.S. grade school, high school or University. The discounts typically extend to staff and faculty. We aren’t expecting to see any deep discounts on MacBooks on Black Friday, so these deals will have to suffice. Please note that the pre-discount pricing listed on Best Buy’s Web site is the Mac’s suggested retail price plus the full price of the gift card. The discounted price simply subtracts the price of the gift card. One very important note is that you’re actually purchasing a bundle here. 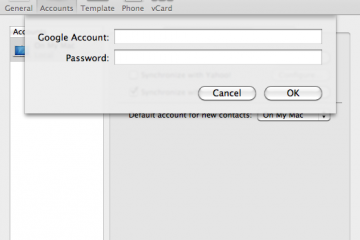 You cannot return just the gift card or just the MacBook. Best Buy only allows a 14 day return window on laptops and charges a 15% restocking fee. Laptops are not included in Best Buy’s extended holiday return policy, which extends the return period to January 31, 2011 for many items that are purchased as gifts. We strongly suggest researching your MacBook or iMac purchase thoroughly before buying one of these bundles. If you’re giving this bundle as a gift, make sure it’s the right Mac before allowing the recipient to open the box or spend the gift card. Here is a list of Best Buy’s pre Black Friday MacBook deals. 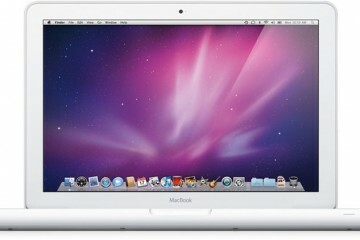 The white MacBook is Apple’s most affordable 13″ laptop and the only one to have a plastic exterior. May users prefer the aluminum exterior found on the MacBook Air and MacaBook Pro. 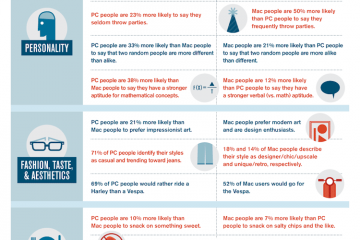 Those machines are more expensive however and the 13″ MacBook will serve most users just fine. 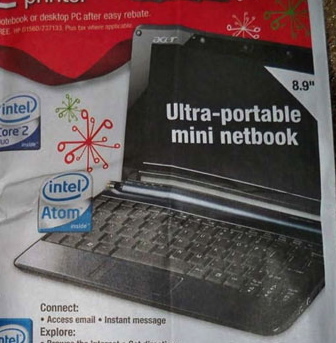 The Intel Core 2 Duo processor and NVIDIA graphics offer a pleasant iLife ’11 experience and the 10-hours of battery life is outstanding for a computer in this price range. 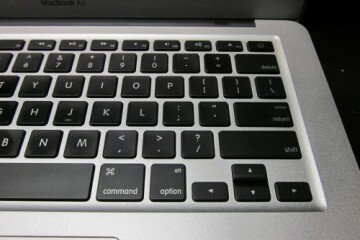 The standard MacBook configuration includes 2GB of memory and a 250GB hard drive. This MacBook Pro is the beefier of the two 13″ MacBook Pro retail configurations. It has a 320GB hard drive, while its $1,199 cousin comes with a 250GB drive. It comes with a 2.66GHz Intel Core 2 Duo processor, while the more affordable version comes with a 2.4Ghz processor. Apple is notorious for charging outrageous amounts for relatively minor upgrades and this is a case and point. The base version of the 13″ MacBook Pro is a much better value. If you insist on buying this model, be aware that you’re paying $300 for a processor that’s about 10% faster and a hard drive that’s 80GB larger. A 500GB hard drive can be had for a fraction of the price difference between the two models. This is the base version of the 15″ MacBook Pro, a step up in screen size and processor technology from the 13″ MacBook Pro. Best Buy is offering a $125 with this 15″ MacBook Pro. The larger screen has a resolution of 1440×900, which is relatively low compared to the 15″ MacBook Pro’s optional 1680 x 1050 pixel display, which is optional when ordering direct from Apple or on the highest-end retail configuration, which is generally only available at Apple retail stores. This MacBook Pro comes with a 2.4Ghz Intel Core i5 processor, which is significantly faster than the Intel Core 2 Duo processor found in smaller MacBooks. The 15″ MacBook Pro comes with switchable graphics, which means you’ll see maximum battery life when web browsing or using applications that are light on graphics. When you’re editing videos or playing video games the NVIDIA GeForce 330M graphics will automatically kick in for better performance. The 15″ MacBook Pro comes with 4GB of memory and a 320GB hard drive in this configuration. This 15″ MacBook Pro is largely identical to the MacBook Pro listed above. So what do you get for the extra $200? A 500GB hard drive instead of the 320GB drive on the cheaper model. You’ll also get a 2.53GHz processor, which is slightly faster than the one found on the $1,799.99 MacBook Pro. The larger hard drive is a nice-to-have if you have a large multimedia library or plan on editing a lot of HD video. This is one of the best configured MacBook Pros available. 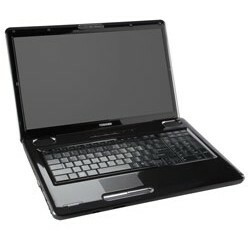 It includes the 2.66GHz Intel Core i7 processor. The high-end processor is a must-have for those who will be doing serious photo and video editing or working with processor-intensive applications. However, if you’re looking for the best multimedia experience on a 15″ MacBook Pro you should opt for the $2,349 MacBook Pro with a high-resolution (1680 x 1050 pixels) display. 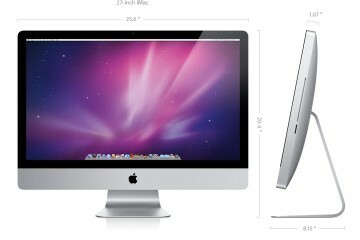 The $2,349 model is available at Apple.com and select retail locations. It is relatively difficult to find compared to the $2199 model. This is the entry-level 17″ MacBook Pro. It comes with an Intel Core i5 processor, 4GB of memory , a 500GB hard drive and NVIDIA GeForce GT 330M graphics. Some users appreciate the larger screen, but keep in mind that this MacBook Pro is too large to comfortably tote around town. In its base configuration, the 17″ MacBook Pro is NOT as powerful as the 15″ MacBook Pro listed above for $2,199. The 17″ MacBook Pro is an excellent choice for professional photographers and others who want the most screen real estate and the highest resolution found on any MacBook (1920 x 1200 pixels). The 17″ MacBook Pro comes with a $150 Best Buy gift card. This is Apple’s higher end 21.5″ iMac retail configuration. It comes with a 3.2GHz Intel Core i3 procesor, 4GB of memory and a 1TB drive. This iMac has more than enough horsepower for most users and plenty of storage capacity for large multimedia libraries, including HD video files. The 21.5″ display has a full HD display (1920 x 1080 pixels), which is well suited for playing 1080p videos. This iMac comes with a free $100 gift card. The more expensive of the two iMacs included in this promotion is well equipped. It comes with the same Intel Core i3 processor as the model above and also has 4GB of memory and a 1TB drive. The big difference is the 27-inch display, with a whopping resolution of 2560 x 1440 pixels. According to Best Buy, these pre-Black Friday Mac deals are only available at BestBuy.com, which means you can’t score this deal by simply strolling into your local Best Buy store. This may change, but as of the writing of this article we couldn’t find the bundles at California Best Buy locations. 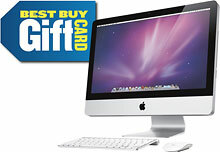 To get this deal, simply visit this BestBuy.com page and browse the available packages. For a full listing of Best Buy’s Black Friday deals, visit the Best Buy Black Friday page on Notebooks.com. Visit the Notebooks.com Black Friday deals page for a full listing of laptops and gadgets on sale this week. Before purchasing any of these bundles we strongly recommend checking with Amazon.com and using our price comparison tool to make sure it’s the best deal for you. great post, very informative. I wonder why the other specialists of this sector do not understand this. You should continue your writing. I’m confident, you’ve a great readers’ base already! Pretty section of content. I simply stumbled upon your website and in accession capital to claim that I get actually loved account your weblog posts. Anyway I’ll be subscribing for your augment or even I fulfillment you get admission to constantly fast.